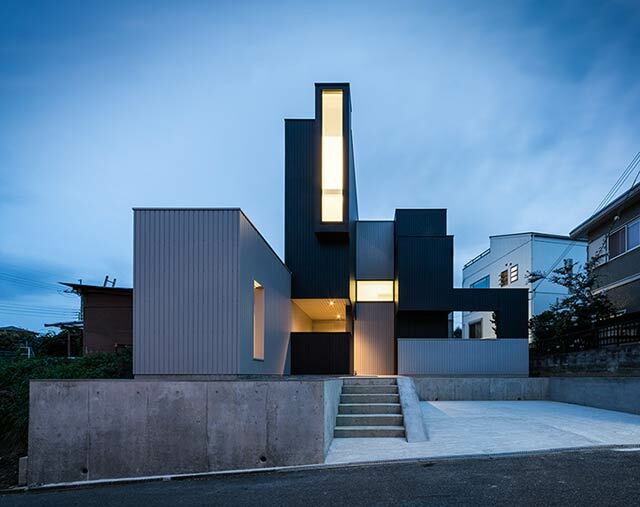 A collection of differently sized cuboids make up the volume of this family house in Shiga, Japan, designed by architect Kouichi Kimura to offer "versatile spaces" with "light and scenery"
Kouichi Kimura, founder of Japanese studio FORM, developed the residence for a hilltop neighbourhood overlooking a lake, so he wanted the interiors to frame curated views of the scenic surroundings. "The customer requested that the view be fully utilised and that the space be opened, while not being bothered by the eyes of the neighbourhood," said the architect, whose past projects include a house that is just 2.7 metres wide. 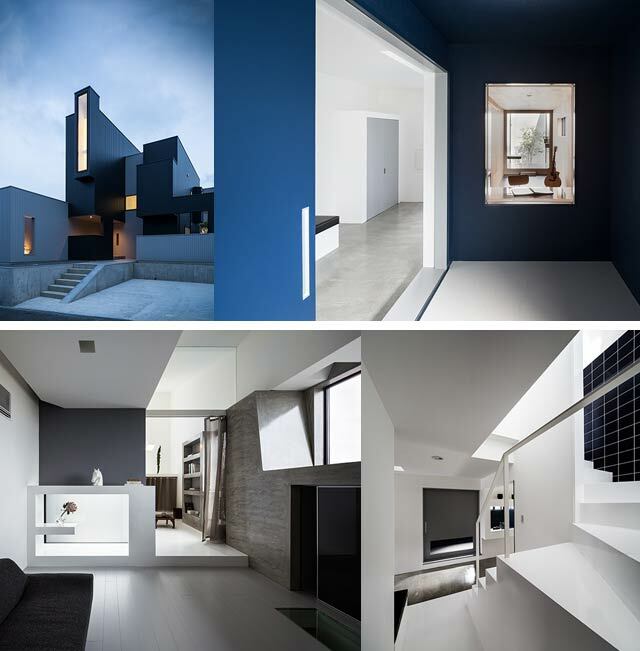 Rather than adding too much glazing, Kimura was keen to use both small and large windows to create a hierarchy of views, providing spaces with different lighting conditions. "Scenery viewed through a window is greatly affected by the size or position of the window," he explained. "It is therefore essential to consider what should and shouldn't be viewed in the scenery framed by the window, instead of being stereotyped to [always] take in a large area." Windows on both floors of the two-storey residence, known as Scape House, are framed by a variety of built-in furniture elements that create seating areas, shelving and tables. Not all of the windows create views between inside and outside – one offers a glimpse from the ground-floor corridor into a home office, while a low-level window frames a view into the children's bedroom. A staircase winds up through the centre of the residence to lead up to the first floor, where the majority of the living spaces are located. It also acts as a partition, separating a living area, dining space and compact kitchen. Wall, ceiling and floors throughout the house present an assortment of finishes, including polished concrete, ceramic tiles, wooden panels, and plastered surfaces painted in shades of white and grey. Externally, the building is clad in corrugated metal and is raised up on a concrete base. A long narrow window is positioned on the centre of the facade. 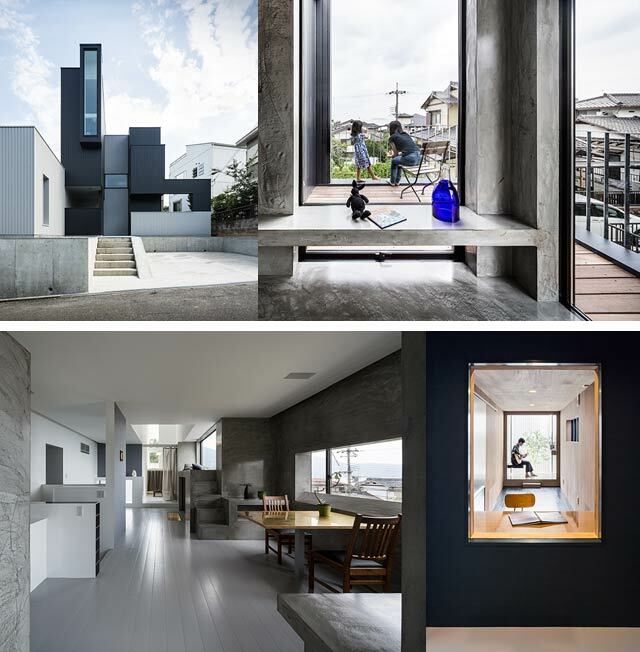 "The dynamic configuration with the box-shape volumes and rhythmical layout of the windows produces beautiful life scenes where light and scenery are taken in," added Kimura.